Distance: End to end is 52.7 miles, plus side trips for campsites (our total was 57.2 miles or so with campgrounds and side trips). Markings – Pink, usually on trees. Sometimes disappear or hard to follow, but much improved the last few years thanks to the amazing people at the Outdoors Club of South Jersey, especially this section. 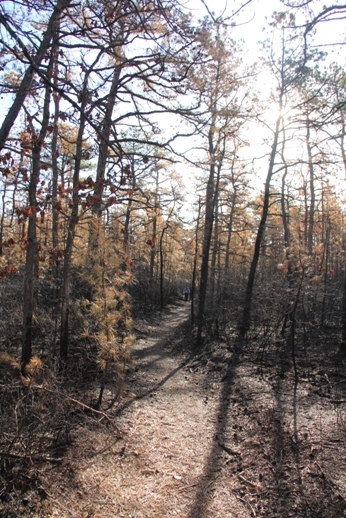 Description: The Batona Trail is South Jersey’s PREMIER long distance backpacking trail. 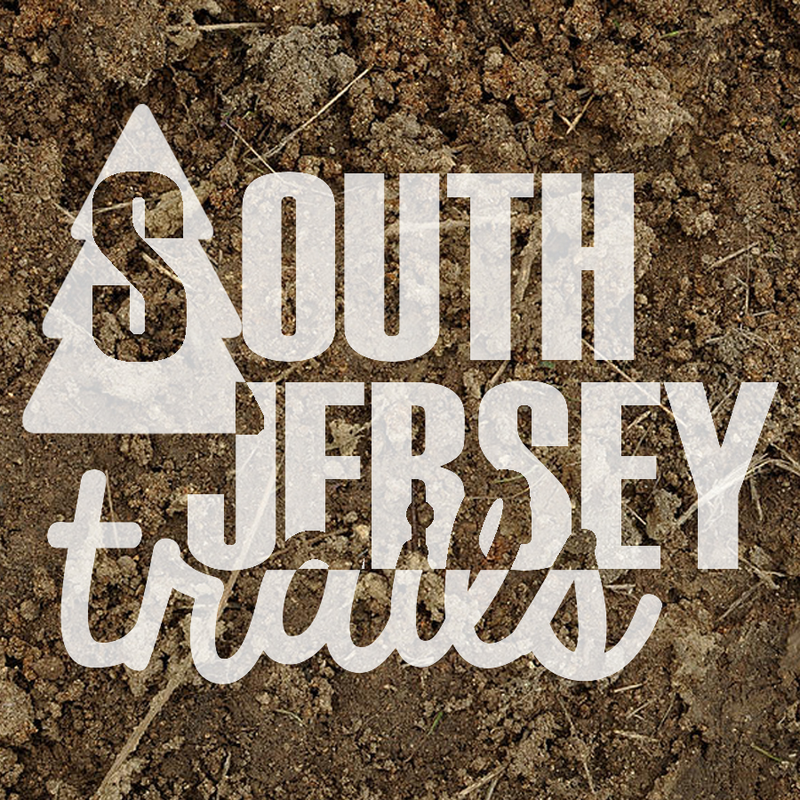 It is South Jersey’s ONLY long distance backpacking trail, but lets not get bogged down by that. 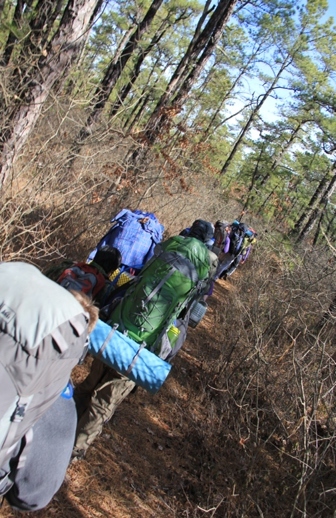 I used to think that I was the only idiot that would walk the whole trail end to end in one go, but apparently there are not only people who backpack the whole thing (I met four of them last weekend), there are even people who run the whole thing in one day. 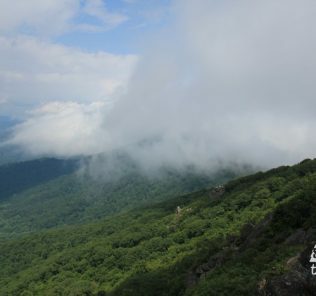 This trail doesn’t offer the same views that New Jersey’s other premier long distance backpacking trail (the 70 miles worth of Appalachian Trail in the Northwestern part of the state), but it has it’s own charm. There used to be a lot of confusion with which way to go at the start, but thanks to amazing volunteers, just follow the arrow and head down Dan Bridge Road. After a short walk down this road of roughly a mile, you’ll turn left into the start of the first Batona Reroute completed in four years ago. 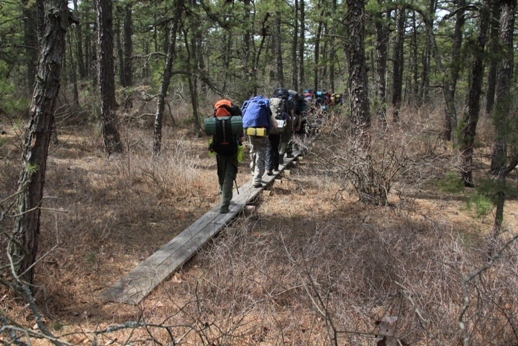 The trail meanders through a recent burned out areas, crosses come bridges, passes old bogs, and pops out three miles later where the old trail is. The new trail section is a mile longer than the old trail, but well worth the extra walking. Lovely scene. Much nicer than the old route. End of reroute, which added a mile to the old trail, but is a much nicer walk. Once we get back to “old trail”, the Batona wanders for a few more miles, following a flooded out road next to a pond, which is fun. This road has been flooded out for a bazillion years. Makes a fun little walk. 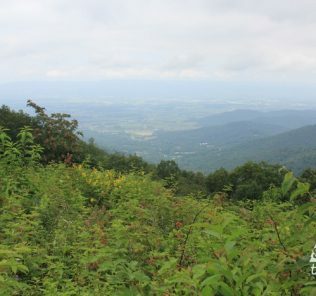 Soon after that, it meets up with Martha Road, which it more or less follows all the way up to the site of Martha Furnace. This site (and along the trail preceding it) was once the home to an iron furnace and a village of several hundred that ran it. Check the ground at your feet, and you’ll find bits of iron slag from the furnace days. The furnace is now buried under a massive pile of dirt inside of the chain link fence. Baby break on the trail. Martha Furnace is visable on your right. Tree across from the fence along the trail. A short distance brings you to the Martha Bridge over the lower Oswego River, 7.7 miles from your start. Martha Bridge across the Oswego, which was not looking so good after Sandy. Still isn’t looking so good in ’16. 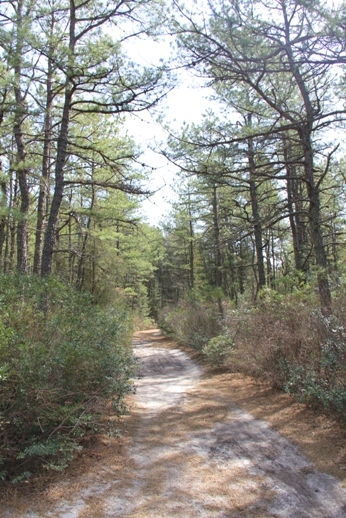 From here, it’s a little more than a mile through the woods (watch out, the trail leaves the dirt road, don’t miss it!) to Route 679/Chatsworth Road. A little more than a half mile later, you’ll hit Route 563/Green Bank-Chatsworth Rd. The trail turns left and follows this highway down to Evans Bridge at mile 9.7 for the day. This is a great spot to stop for lunch, watching canoers go by on the Wading River under the bridge, refilling your water from the river if you need to, and enjoying this lovely spot. 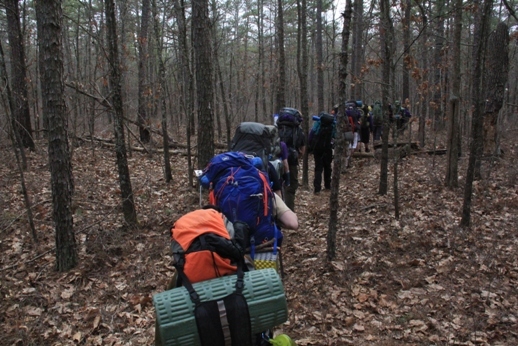 From here, it’s only 6 miles left into camp at Buttonwood! 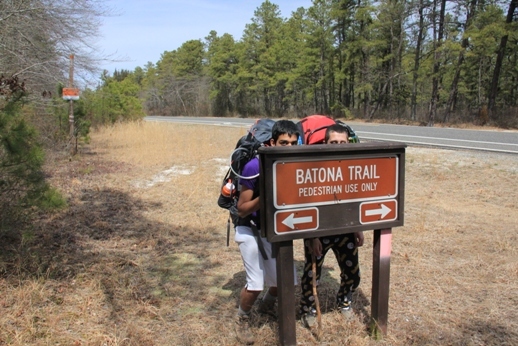 Batona Trail crosses the road. Turn left and head down Route 563. Lunch time at Evans Bridge on the Wading. The rest of the day is fairly uneventful. 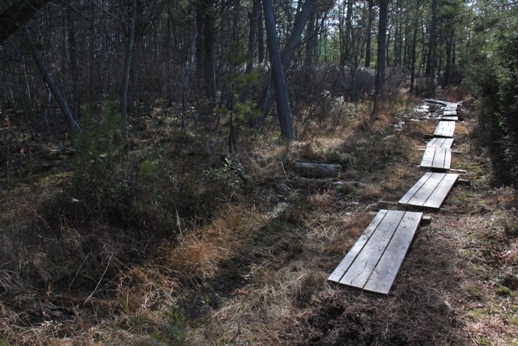 You’ll cross Evans Bridge, then the highway, walk through some lovely forests, come down through a nice patch of cedar swamp with a tire in it (2016 update – no more tire), hang a right and walk “steps” up then down the trail (not literal steps, the trail does a wonkly little step pattern), then run straight down into Buttonwood. Crossing the bridge while multi-tasking. One of the weird “step” parts of the trail. 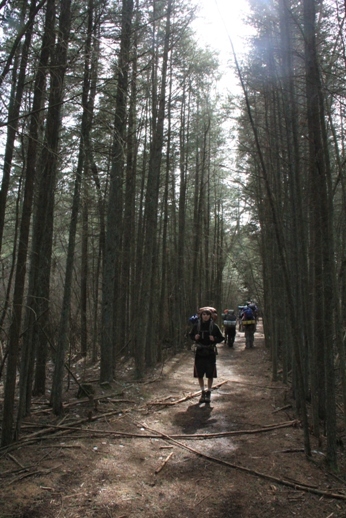 The walk into Buttonwood from the trail is 1.1 miles, for a total of 16.4 miles your first day. 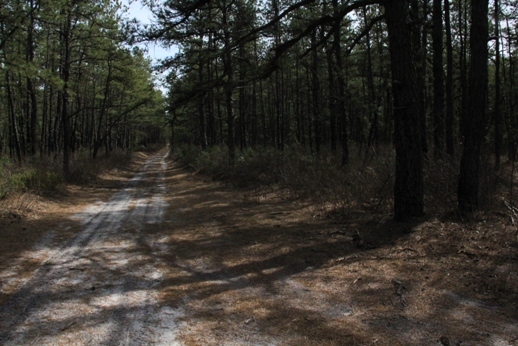 – Buttonwood Campground, Wharton State Forest – 15.4 trail miles from the start with the new reroute, plus a 1 mile walk in. Water is available across the highway at Crowley’s Landing… if the water is turned on. 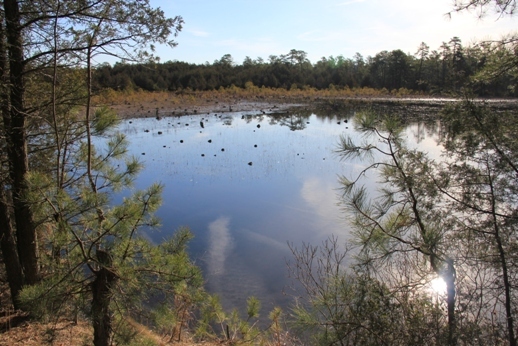 Otherwise, it has to be filtered out of the Mullica River, also located across the road. There is an pit toilet at the site. Very small campsite, capacity is only 25 people or so on 5 sites. $3 per person, per night plus $10 registration fee. You can refill with fresh water at Batsto the next day, where you have to pick up your permits and can use the beautiful flush bathrooms. 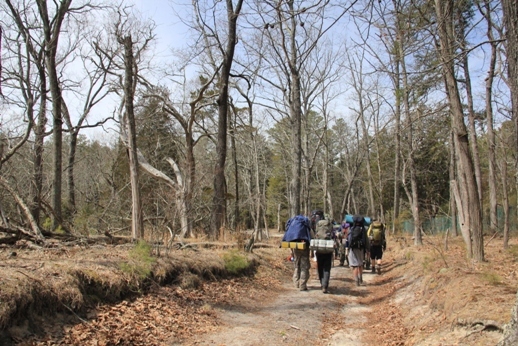 Next campground – Lower Forge – 10 trail miles (12 with walkout, walk into Batsto, and Lower Forge walk). Entrance from the road (not the way you are walking). The walk into Buttonwood at the end of this day is killer. Probably my least favorite day of the trail, but still get to see Martha, cross several rivers, and see a nice swamp and some cranberry bogs. 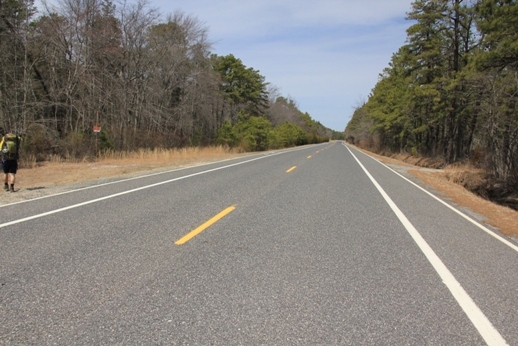 There is an insert with the two reroutes (one near Bass River State Forest which adds a mile, and two miles added between Apple Pie Hill and Rt 72), which I really need to find and scan. 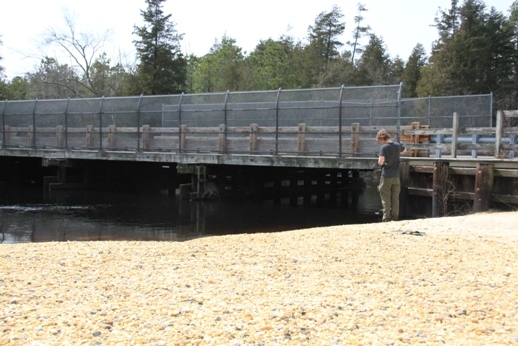 You can usually get free Batona maps at either Batsto, Bass River, or Brendan Bryne Ranger Stations. 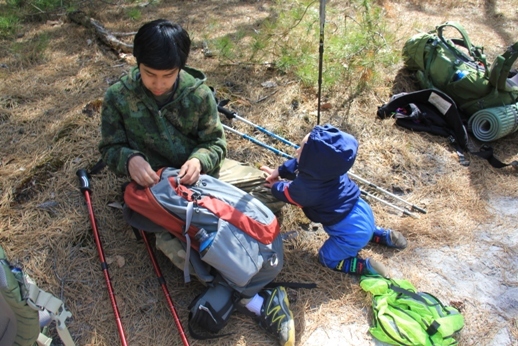 You best campsite info is right here on this blog with this post and the three follow up ones. 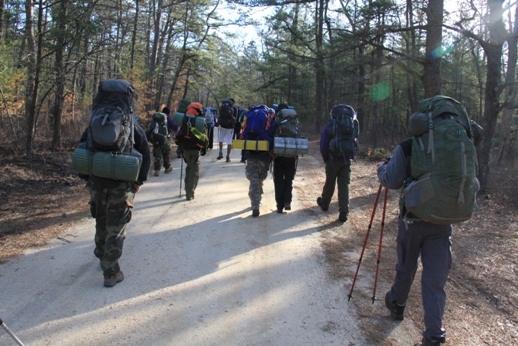 There are only four campsites on the trail – Buttonwood, Lower Forge, Batona Camp Brendan Byrne. They have to be reserved ahead of time via the various state park websites. They are not particularly well spaced out. I’ve never had a problem with water. 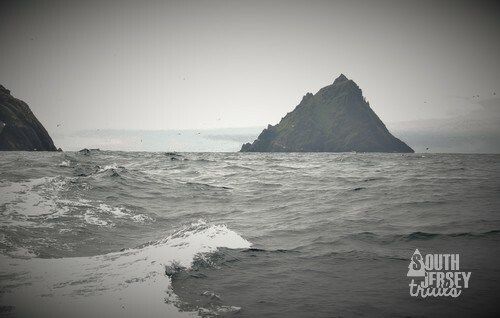 South to North. 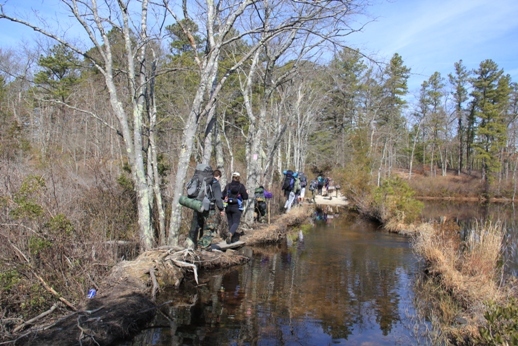 Day 1 – you can resupply at Martha Bridge (river), Evans Bridge (river), and at Buttonwood Camp (Mullica River, but have to cross the street to do it). 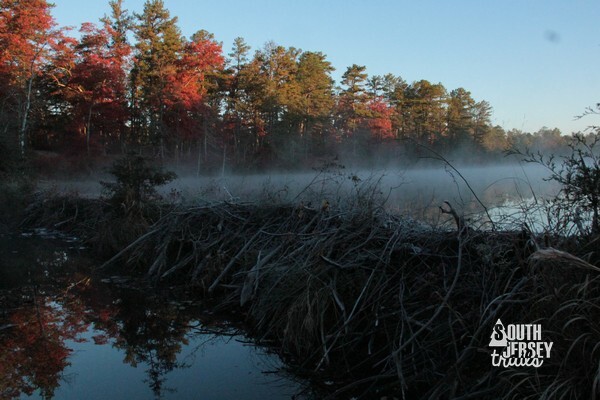 Day 2 – you can resupply at Buttonwood (same river), Batsto (taps in bathrooms), and then multiple places between Batsto and Lower Forge as the trail follows the river. There is supposedly a spring somewhere at Lower Forge, but its easier just to pull from the river next to the campground. Day 3 – First water is the pump at Batona Campground. Can fill up at Skit Branch, but its just at Batona Camp. 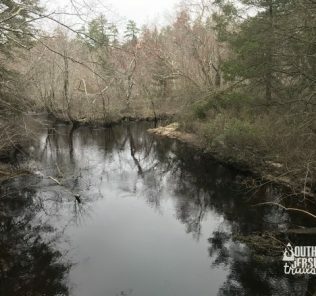 The next really reliable water will be at Brendan Bryne camp (pump or bathrooms), but you can fill up in various streams or bogs in the Parker Preserve between Apple Pie Hill and Rt 72 if you need to. 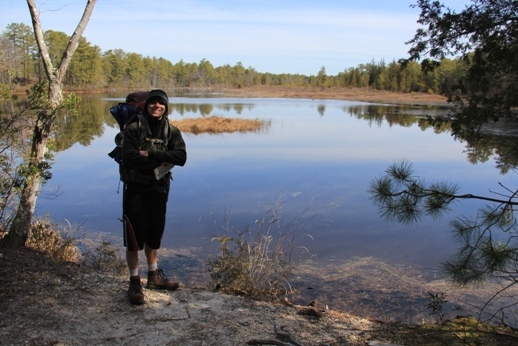 Day 4 – Pakim Pond is a supply (although you just left the pumps at the campground). Can go a short walk offtrail to refill at the Brendan Bryne Vistors Center/Ranger Station. Several miles further can refill at Deep Hollow Pond if need be. That’ll be it! 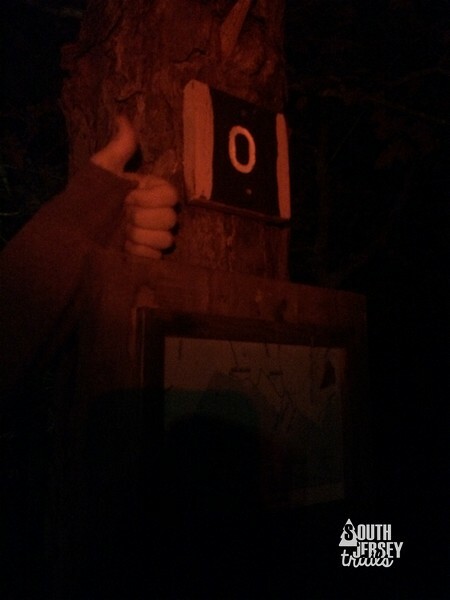 The two times I hiked end-to-end, I found it easier just to get dropped off and picked up. 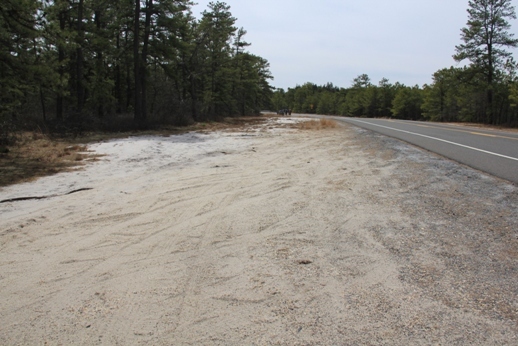 You could leave your car in the lot at Ongs Hat (Brendan Bryne State Forest) and probably find a spot at Bass River State Forest at the other end (not as firm on rules there) if you need to, but I don’t like leaving my car unattended that long in the woods. 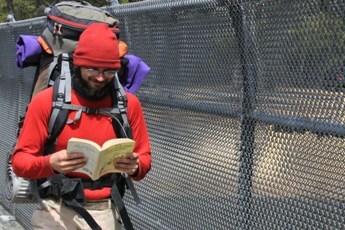 I keep meaning to write a trail guide. I think I might have already, I just need to copy and paste my responses from here! If you need anything else, just let me know! Hi. 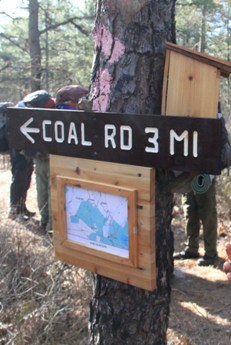 I am thinking of hiking the whole trail in three days very soon. Was wondering if you think it is possible to ignore the set campsites and just camp on or near the trail when night falls. Thanks! 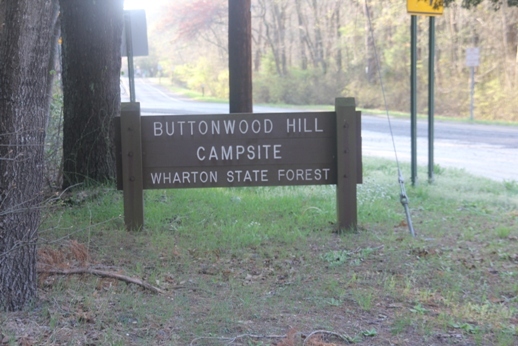 The official answer is that camping in Wharton State Forest is confined only to the campgrounds. I’ve seen folks camping by the side of the trail, (including a pair a half mile from Lower Forge one time, which really confused me), but really, there isn’t much of a need to. I had a buddy go a week or two ago and do it in three day, and he overnighted at Buttonwood and then Batona Campground, and made it fine. Makes for some long days, but you’ll already need some long days to do 53 miles in 3 days! 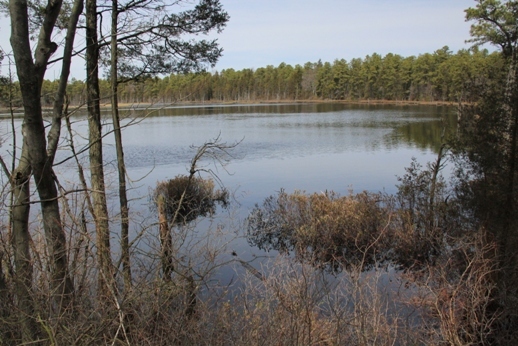 There are four campsites on the Batona or down spur trails – Buttonwood, Lower Forge, Batona Camp, and Brendan Bryne Campground. Details for all of them are found at the bottom of each of these Batona Trail write ups, day 1-4. If you still have questions after that, just let me know! You mentioned camping at Buttonwood, then picking up your camping permit the next day. I thought you had to get the permits beforehand–which requires an annoying detour and late start–but are you saying you can pick it up afterwards if you are through hiking? Our current plan is to do it in three days, with a camp at Batona the first night and Buttonwood the second. I(t would be so nice just to go straight to Ongs first rather than waiting for the office to open at 9, especially with a 19 mile day! Thanks! Always make reservations ahead of time on the computer system. 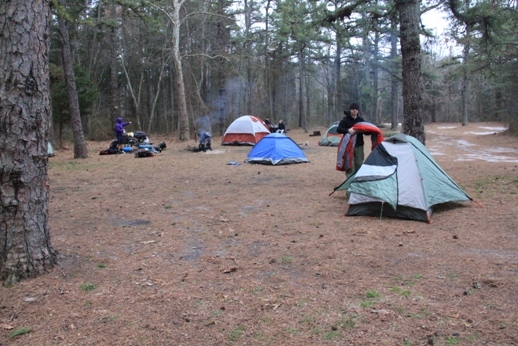 After that, officially, you MUST pick up your permit from the office at Batsto (or Atsion in season) before camping. Unofficially, it’s absurdly hard to get to those offices between 9 AM and 4 PM and still do anything that day, and I’m surprised that anyone ever does. If you have a print out (or a digital copy on your phone) of your confirmation email, the park rangers won’t give you a problem. 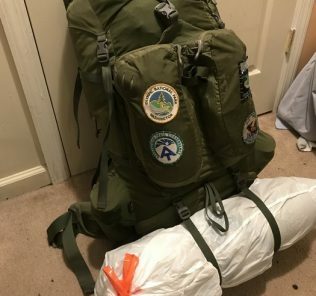 I say this from experience, I’ve pick up my camping permit in advance maybe 5% of the time I camp in Wharton, and I’ve never had a problem when I have a print out. Thank you for these wonderful write ups! So informative and thorough. I don’t think I would’ve even considered doing this trail without reading them! Good write up. 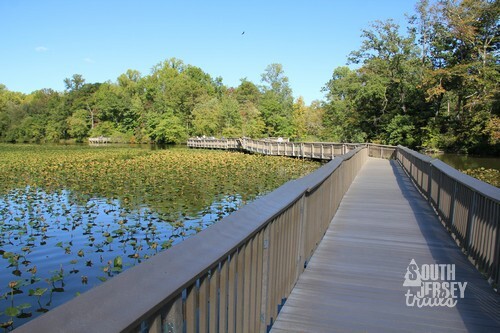 It’s great to have additional info about this trail for others to use. 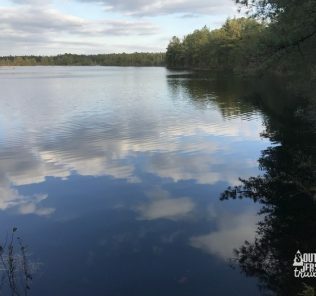 I would like to add if you reserve/apply for a permit to camp in Wharton State Forest, you can not pick up the conformation at the trail head at Bass River, or Brendan T. Byrne. 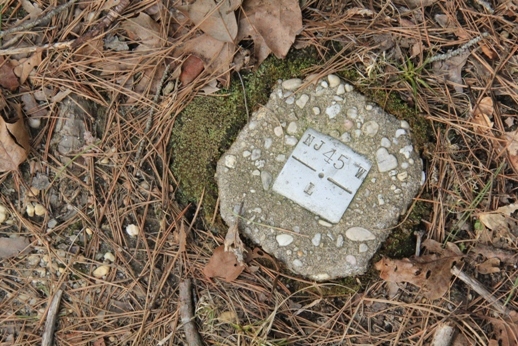 Those two locations only do camping permits for their respective state forests. Makes it really tough to responsibly camp on this trail, and I hope things can change in the future.